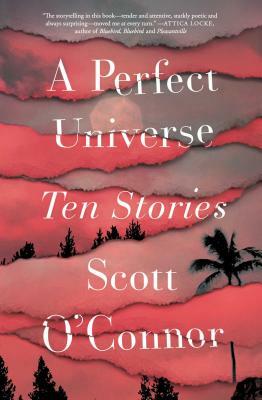 Scott O’Connor is the author of the novella Among Wolves, and the novels Untouchable and Half World. He has been awarded the B&N Discover Great New Writers Award, and his stories have been shortlisted for The Sunday Times EFG Short Story Award and cited as Distinguished in Best American Short Stories. He has written for Fox and Universal Television, as well as The New York Times Magazine and the Los Angeles Review of Books. "The reader is immediately drawn in… as O'Connor shows, our vices are what make us so delicately and chaotically human. A catalog of imperfections neatly packaged within a book." "The stories in A Perfect Universe describe lives torn by violence of all kinds—physical, emotional, judicial—and they do so with immense intelligence and heart-stopping clarity. Scott O’Connor’s vision of Los Angeles as a place both sprawling and strange, given to both radical privacy and startling intersection, brings to mind another one of the city’s definitive portraits, Robert Altman’s Short Cuts, but has a gnostic brilliance that is entirely his own." "[A] sometimes wry, sometimes cutting story collection…entertaining stories accessible to all."